When it comes to picking the right kind of tree, there is a lot to consider. It’s not just about finding something you love that will also thrive in the Nebraska climate, it’s also about avoiding dangerous trees that could cause issues for your health or the health of your landscape. You may love the fruit, but chances are you’d rather admire it from someone else’s yard. 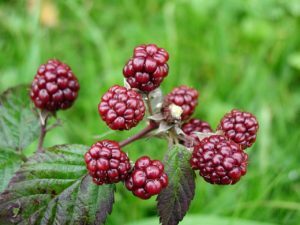 With large surface roots, plenty of pollen, fruit that gets messy fast, and shade that prohibits grass growth, you’d be best suited to find an alternative fruit tree. This well-known tree gives us beautiful furniture, but also produces pollen and fruit that will drive you mad. Not only that, but it secretes toxins that kill nearby plants, and as designers – we just can’t recommend that for a healthy landscape! Ahhh, trees with spring blossoms. So beautiful. The problem? Their fragrance isn’t great, unfortunately, and this poor tree is prone to splitting and cracking once it reaches maturity. 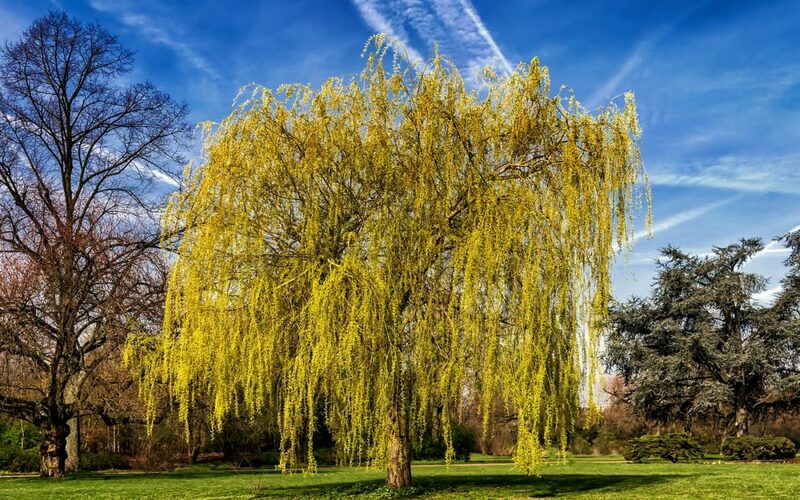 With its whimsical low-swaying branches, the weeping willow is one of the most recognizable and unique of all trees. The problem? It has an aggressive, water-hungry root system, the wood is weak and prone to cracking, and the tree only lives about 30 years. We once used this tree in designs because we loved its quick growth (up to 6 feet a year! ), but we’re sad to say that bugs and diseases also love this tree and, once infiltrated, can be difficult if not impossible to eradicate. 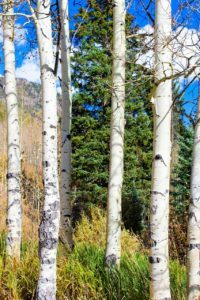 This pretty tree with white bark and gently vibrating leaves is easy on the eyes, but its root system is treacherous and – once established – will try to continuously try to spawn new trees. In fact, the largest living organism in the world is a Colorado aspen root system. It weighs 6,600 tons and is thought to be about 80,000 years old. We love this sturdy, tough tree – you won’t see any cracking in this wood! The problem is that it’s yet another tree that attracts pests, this time the emerald ash borer, a tiny beetle on a mission. In Nebraska, we love our maples and planting fast-growing trees in neighborhoods. This tree, however, grows so quickly that it makes for weak wood that can break easily during storms, And here in Nebraska, if it’s one thing we know, it’s big storms in every season! So, what should you plant? That’s where our certified Arborists and landscape designers can step in and help! Read the original post from houselogic.